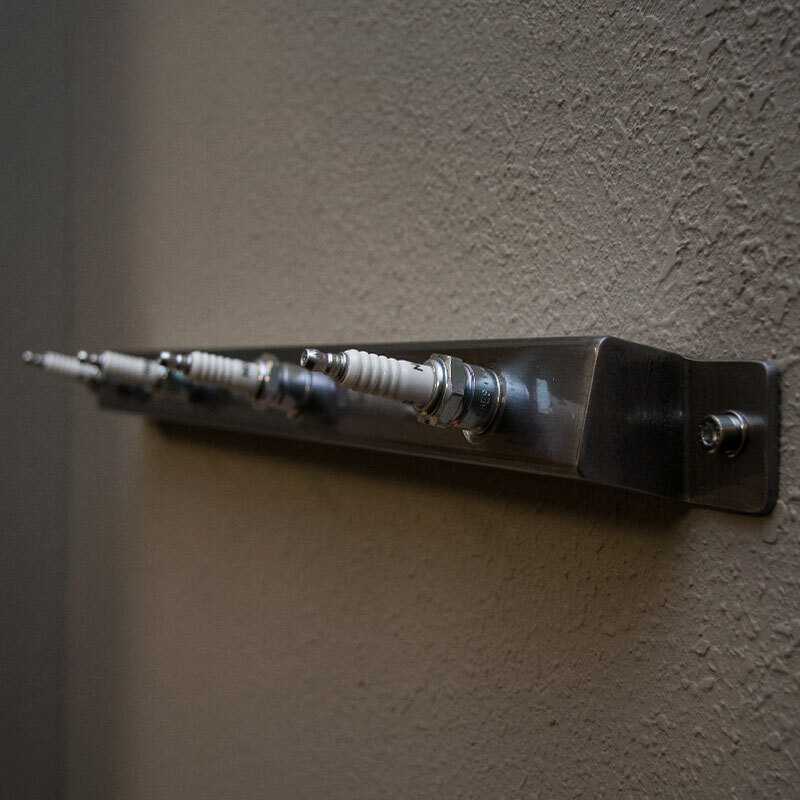 Our Dwell upcycled spark plug coat racks will let you bring your passion for gears and grease in from the garage. 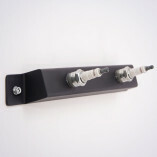 They also make a great gift for that gear head in your life! 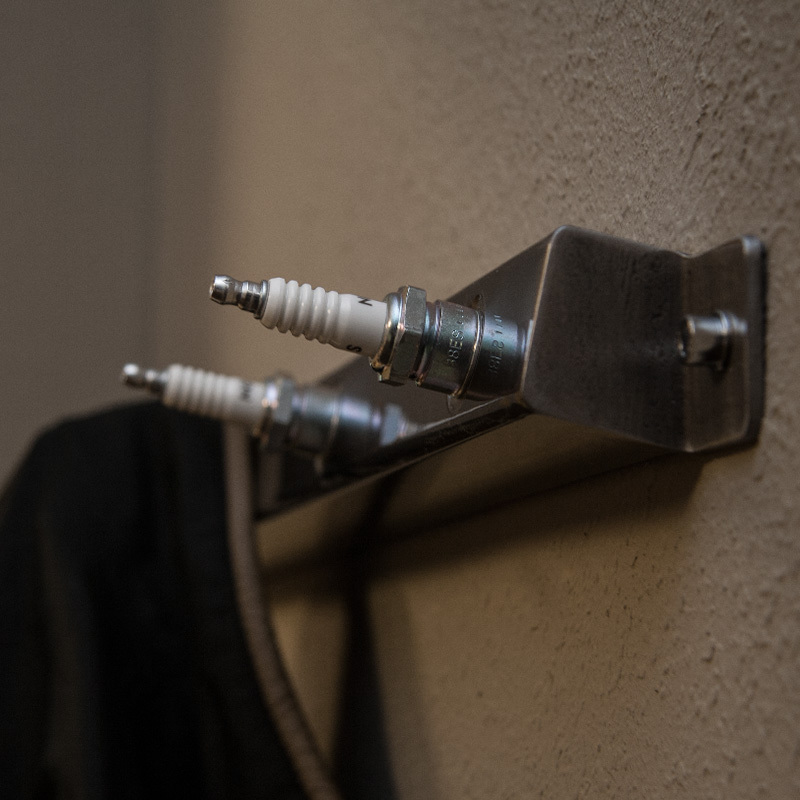 Our Dwell Spark Plug Coat Racks feature all steel construction — cut, welded, cleaned and finished by hand. 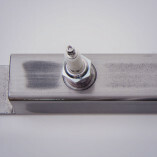 The coat rack features used spark plugs that we recycle from a variety of sources are cleaned and installed in the coat rack body, which has a durable powder coated finish. 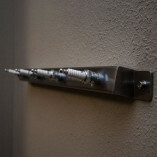 Stainless steel mounting hardware finishes off this beautiful coat rack. 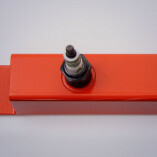 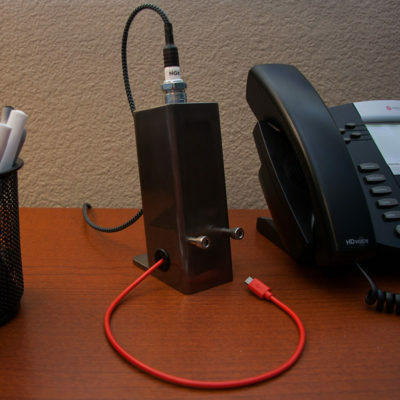 Two and four-plug options are available, as well as a variety of popular colors, including clearcoated raw steel, Ford Blue, Chevy Orange, Harley Davidson Texture Black, and our Slipstream Red. 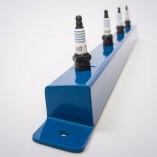 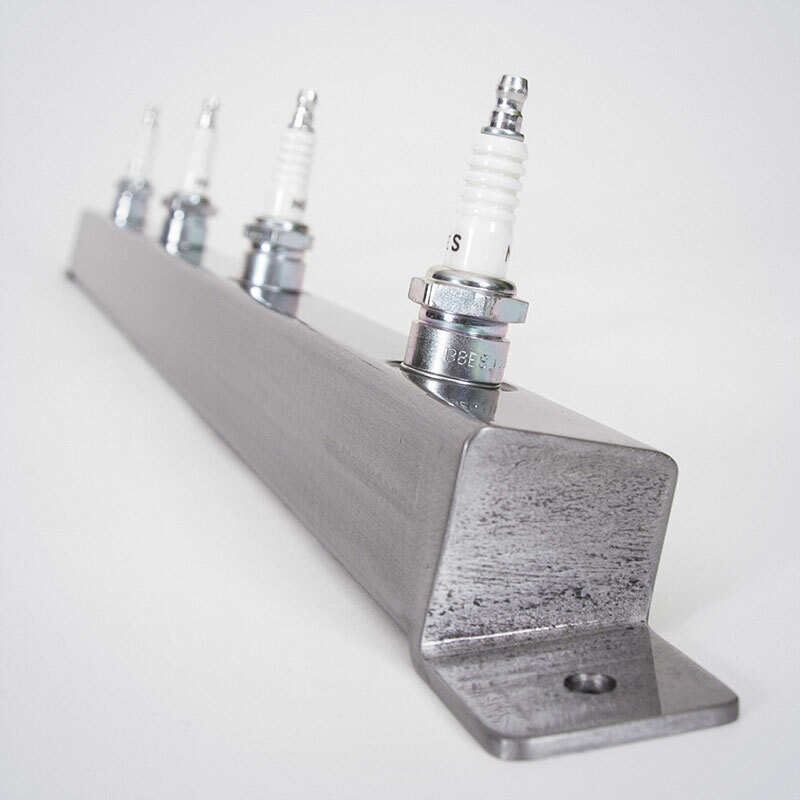 Keep in mind these racks make use of old spark plugs that we source from a variety of places. 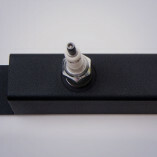 More often than not, when the shop puts new plugs in your car, they toss the old ones in the trash. 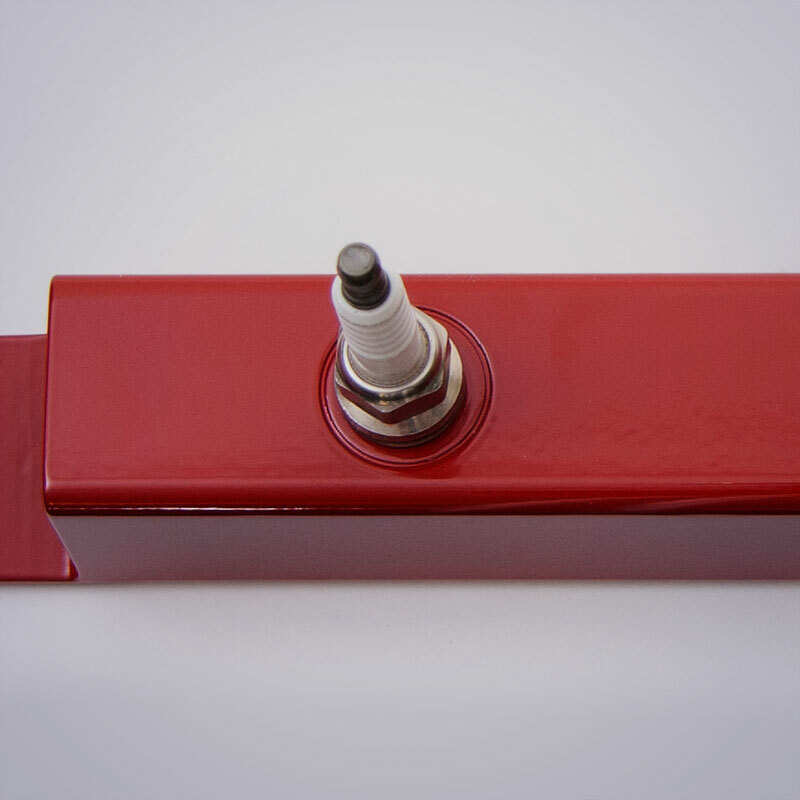 We work with local shops and individuals to keep these old spark plugs out of the landfill. 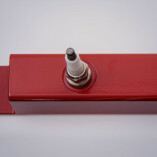 Our coat racks will always feature matching sets of plugs, but there’s no way to guarantee what type of plugs your rack will come with: AC Delco, Motorcraft, Bosch, Denso, NGK, Champion, Screamin’ Eagle. 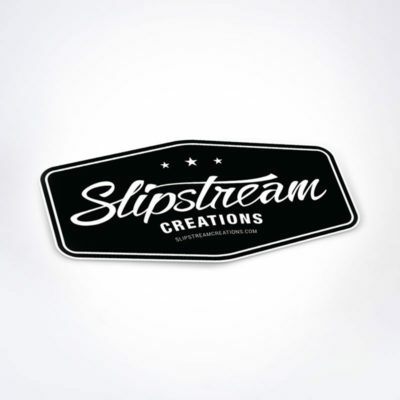 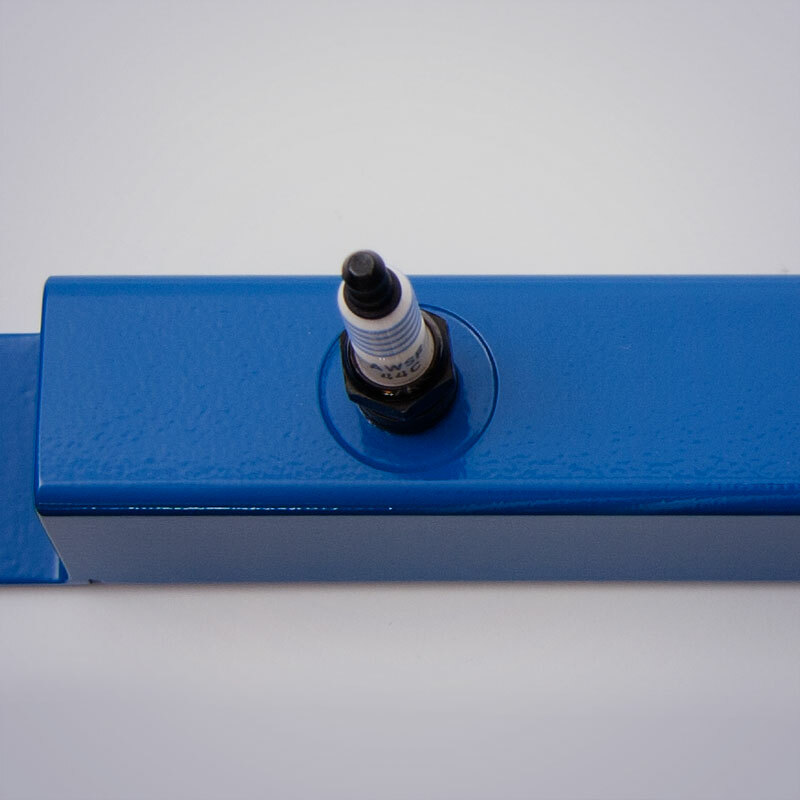 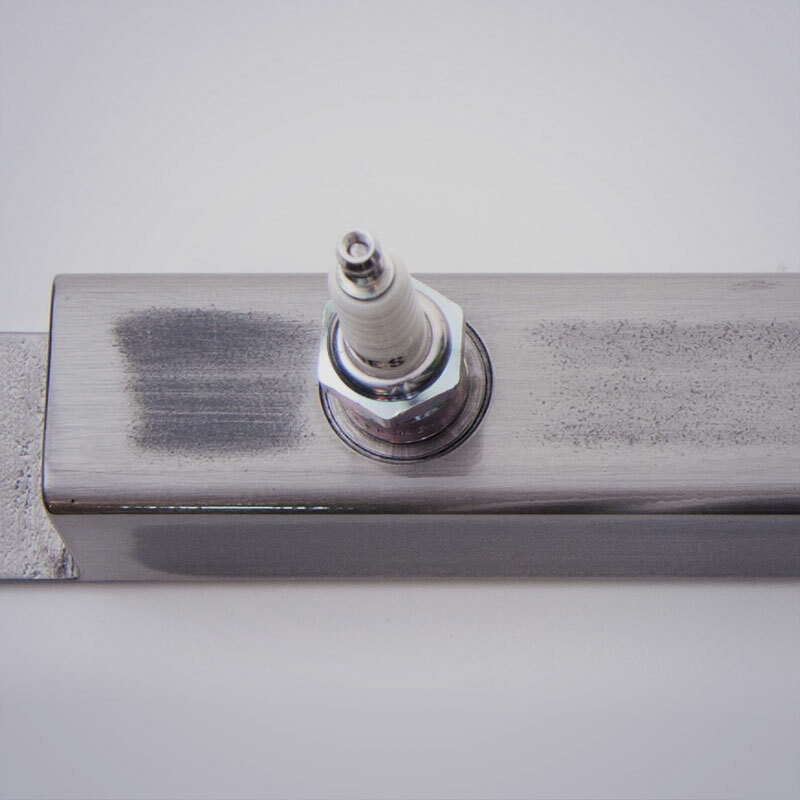 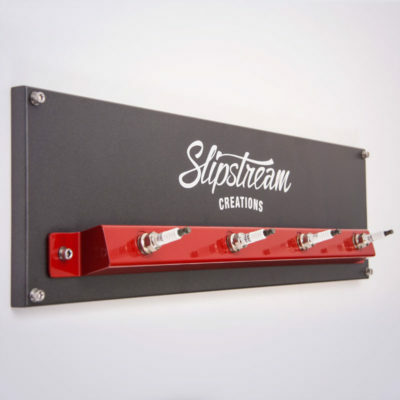 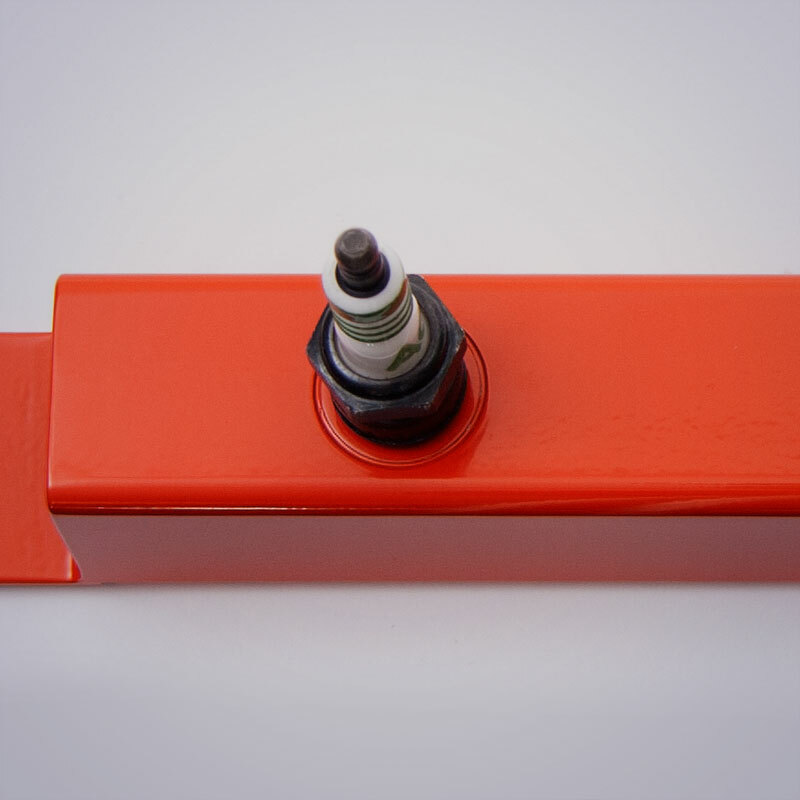 If you’re looking for custom colors or specific plug options, contact us, and be sure to check out our Premium Slipstream Spark Plug Coat Rack.